Originating from Fukuoka, Japan, Uma Uma Ramen has more than 60 years of ramen-making experience behind them. Uma Uma Ramen’s name stems from “Wu Maru”, a Ramen shop established in 1953 by the father of Uma Uma Ramen’s current President, Masahiko Teshima. Upon taking over “Wu Maru” in 1994, Teshima-san renamed the venture “Uma Uma Ramen”; a play on the original name of the restaurant as well as a pun on the Japanese word for “tasty”. 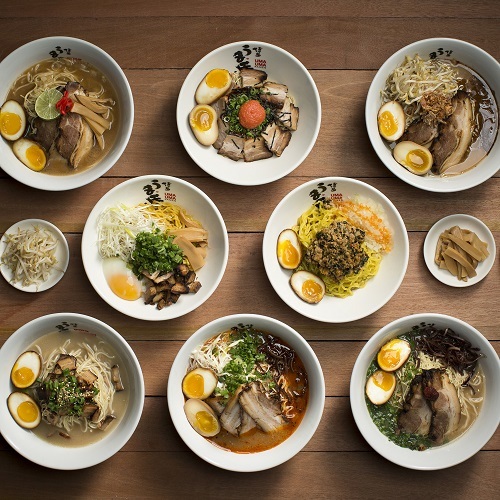 Uma Uma is a contemporary casual ramen restaurant which serves delicious noodles, made according to an age old family recipe, with a robust and aromatic 100% MSG-free tonkotsu stock. • To utilize the offer, please present a CITIBANK card upon payment and full payment must be made with a CITIBANK card.